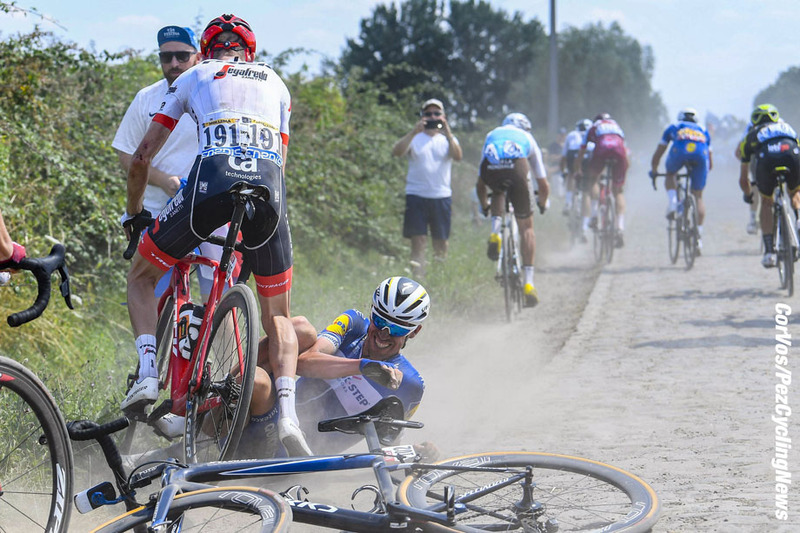 Race Preview: The Hell of the North, A Sunday in Hell, L'enfer du Nord, Paris-Roubaix - Call it what you want, but the Northern Classic is the most beautiful torture for the riders and compelling viewing for the spectators. Whoever wins on Sunday will be a hero - Ed Hood takes us through the history, course and the top contenders. 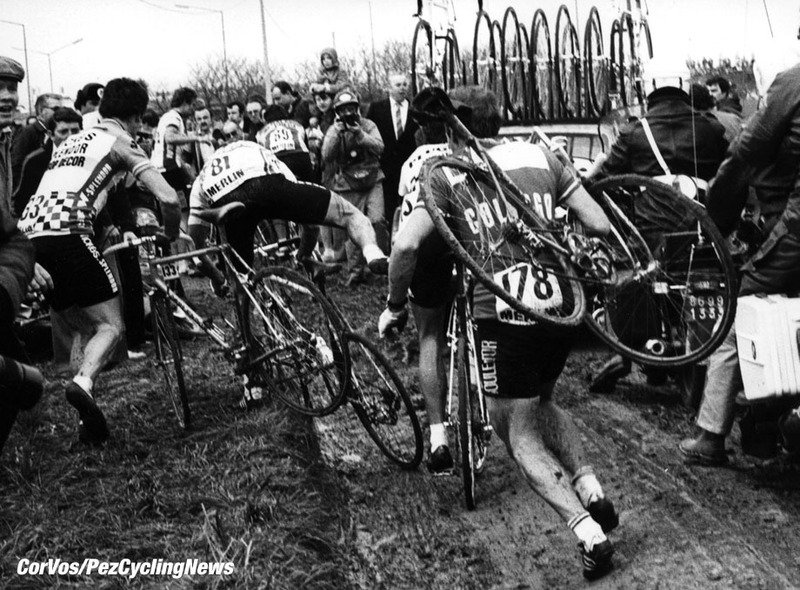 As we said in our Flanders preview, if you’re serious about the sport, you have to see Paris-Roubaix at least once in your life. It’s a difficult race to spectate roadside more than once or twice per edition because of the nature of the parcours, so go and check out the pave the day before - you’ll bump into the teams for sure - pick a spectating spot and your bar to watch the finale on TV. 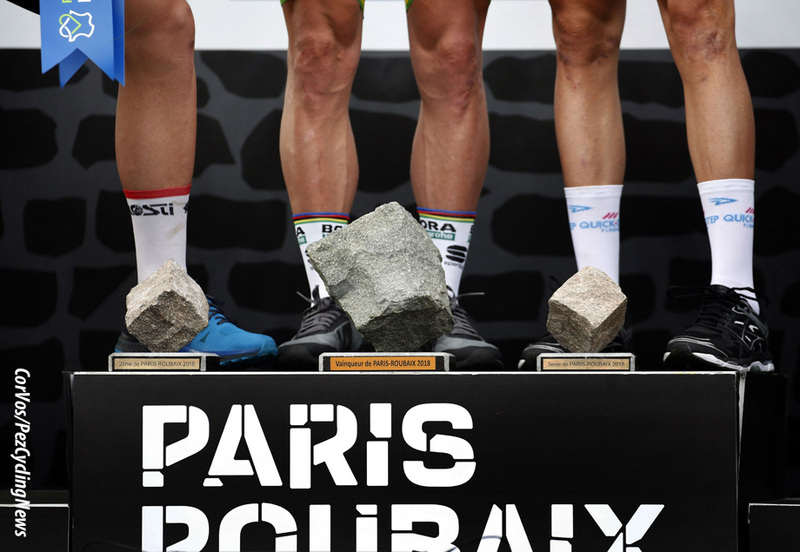 . .
There’s no other race like Paris-Roubaix; organisers in Denmark (GP Herning), England (Rutland), Brittany (Tro Bro Leon) and even the USA (Battenkill) seek to imitate it but that’s not possible. It’s not possible because it’s not Northern France in April and there haven’t been 116 previous editions. This race is unique, and can justly be referred to as legendary in a world where the word is routinely abused. 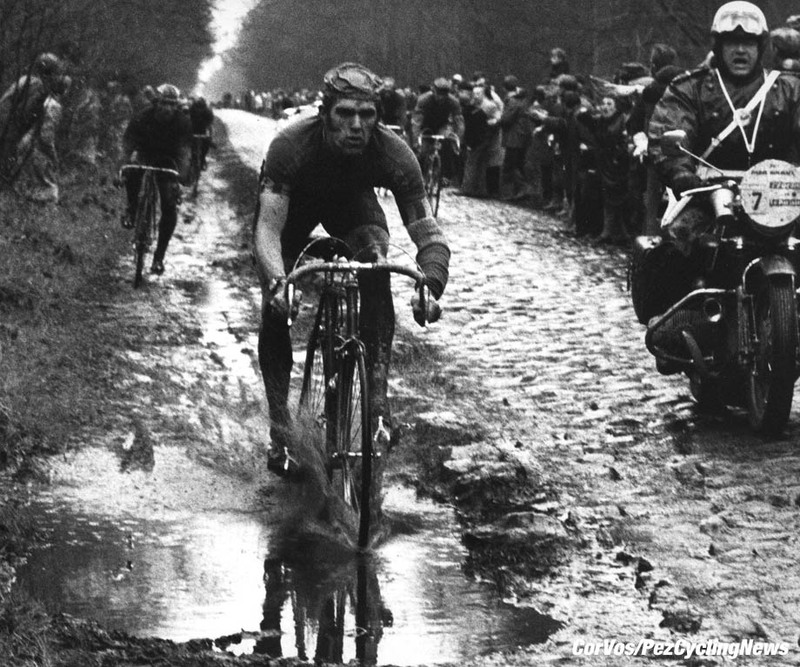 There are older races than Paris Roubaix, it was first held in 1896 when Josef Fischer of Germany won, but Liege-Bastogne-Liege (La Doyenne, the fourth Monument) predates that by four years. There are longer races; it’s a mere 257 kilometres from the Paris satellite of Compiegne to the Roubaix velodrome; Milan-Sanremo adds 40 kilometres to that. And there are hillier races; the aforementioned Liege-Bastogne-Liege has 10 classified climbs and hardly one hundred metres of flat road - whilst the Tour of Lombardy (the fifth and final Monument) includes bona fide mountain passes in the percorso. 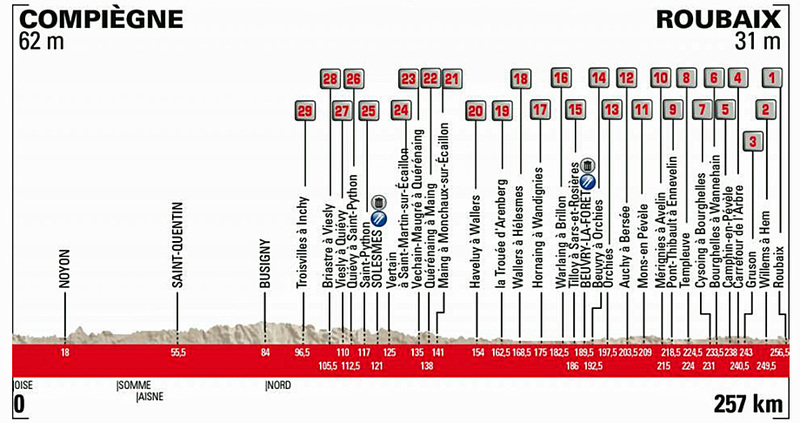 Paris-Roubaix remains steadfastly pan flat; albeit we have secteurs which are described as ‘uphill’. ‘The Hell of the North’ tag comes from the war ravaged countryside which the parcours traversed during the years after The Great War. And the race is, of course, a throwback to those days a century and more ago when horses, carts and boot leather traversed the tracks and cobbles. 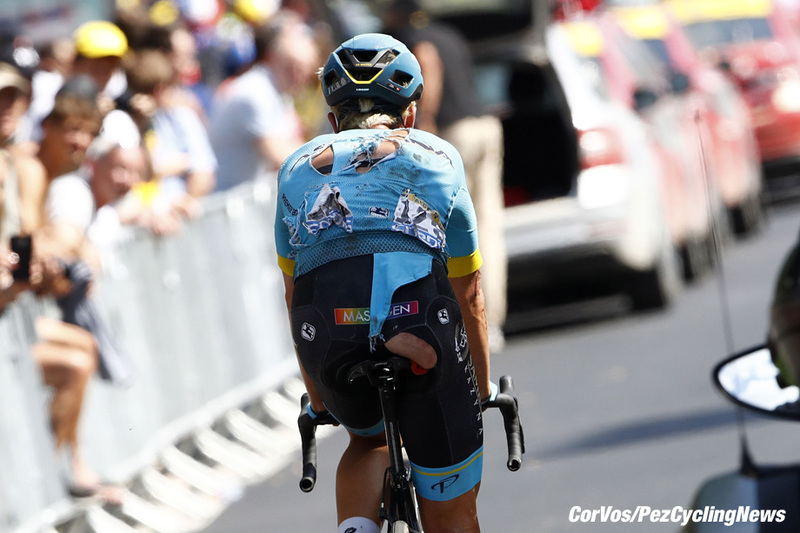 No matter how much you might read about the ‘secteurs pavé’ you’re still unprepared for just how savage they are when you see them for the first time – it says much for the designers of modern tubular tyres and carbon bicycle frames that there are so few mechanical problems. The surfaces are appalling, whilst the cobbles of the final secteur the 300 metres of Espace Crupeland sit flat, square and level, out among the fields and forests the worn and ancient granite blocks jut, dip, collapse, poke, slew and threaten. If you’re contemplating riding them at speed it wouldn’t do to spend overly long inspecting them at close range. The Formula One divers always used to ‘walk the circuit’ to get a feel for it; but your conclusion here would be that it’s impossible to ride a bicycle at 50kph over such things. Perhaps the most infamous stretch is the 2300 metres secteur 19 Trouée d’Arenberg (Arenberg Trench) said to be a Roman road, it slices arrow straight through the Forest of Arenberg. Below it are the long abandoned workings of the colliery whose old winding towers mark the entrance to this tangled, ancient wood where finding strange, Tolkienesque beasts in the undergrowth would come as no surprise. The moss-covered sets of this secteur have broken many a heart and almost ended Johan Museeuw’s career when he crashed heavily upon them. 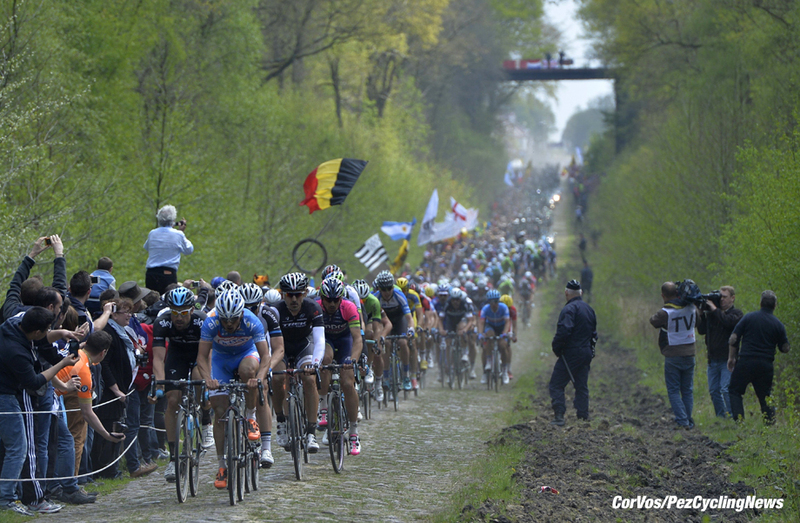 Arenberg is the first of three secteurs rated five stars difficulty by the organisation. 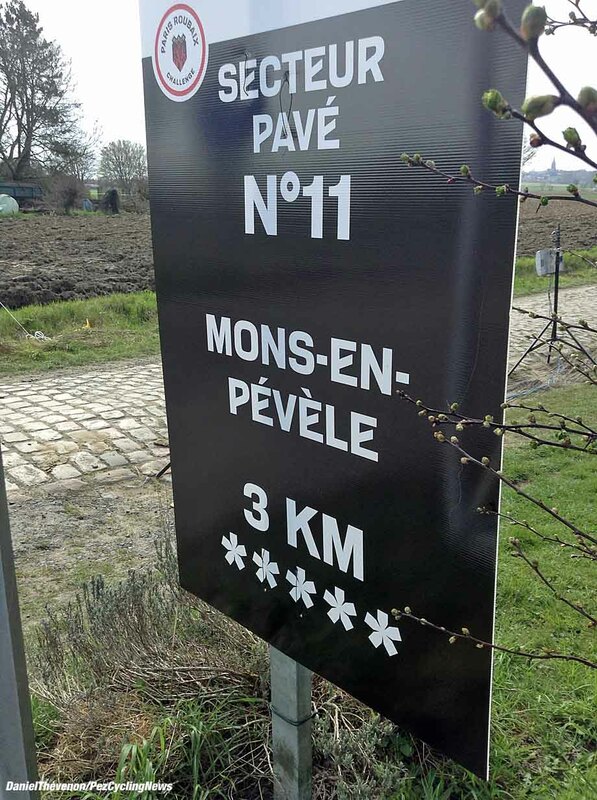 The second, Mons-en-Pevele, secteur 11 drags in the second part – the end for anyone already ‘on the rivet’. 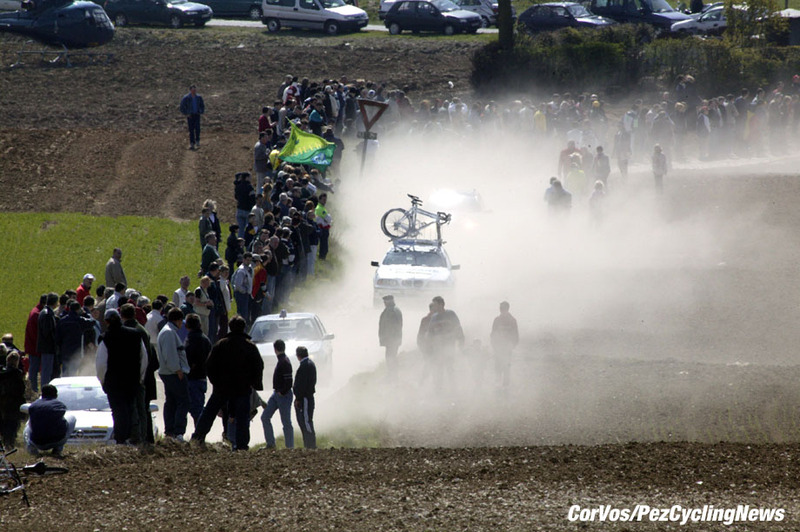 Then there’s the notorious Carrefour de l’Arbre secteur four (the secteurs count down from 29 to one) described by the organisation as ‘the moment of truth’. Johan Museeuw is one of several in recent history who have won the race three times, along with Rik Van Looy, Eddy Merckx, Francesco Moser and Fabian Cancellara. 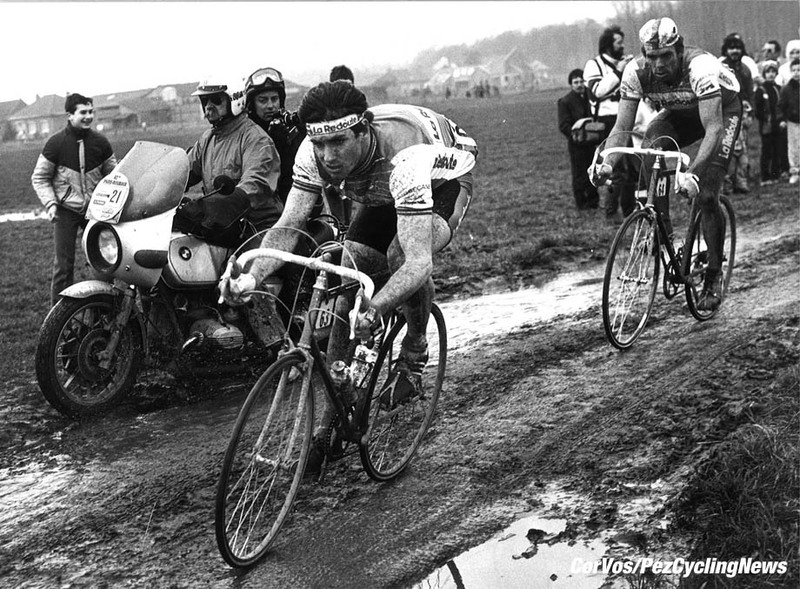 But there’s one man who defines the race such that to this day he’s known as ‘Monsieur Paris-Roubaix’, from 1969 to 1982 his stats read like this: 5, 2, 7, 1, 7, 1, 1, 3, 1, 2, 2, 0, 2, 6 – that’s 13 top 10 finishes for ‘The Gypsy’, Roger De Vlaeminck, Flandrian to the core and one of the coolest riders ever. Sharing this lofty position, also on four wins is Tom Boonen – but with a mere 11 top 10 finishes. We didn’t think he could make it five before the 2016 race but it took all of Matt Hayman’s experience and power to prove us wrong and ‘The Tornado’ was a close second. 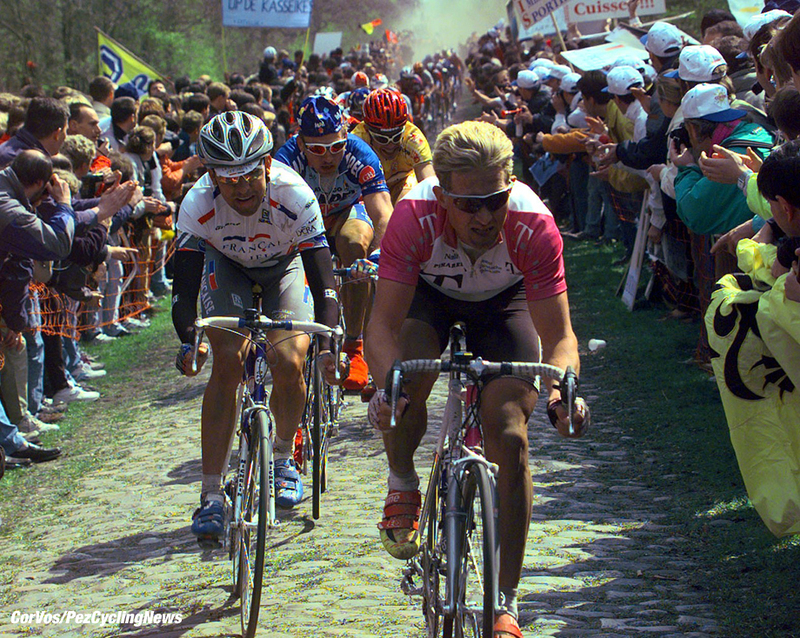 In the last 20 years only big men like Cancellara, Boonen, Backstedt, Tafi, Ballerini, Van Summeren and Duclos-Lasalle; ‘cobble kings’ like Madiot, Van Petegem and Museeuw or tough, solid, talented opportunists like Knaven, Tchmil and O’Grady have taken the win. 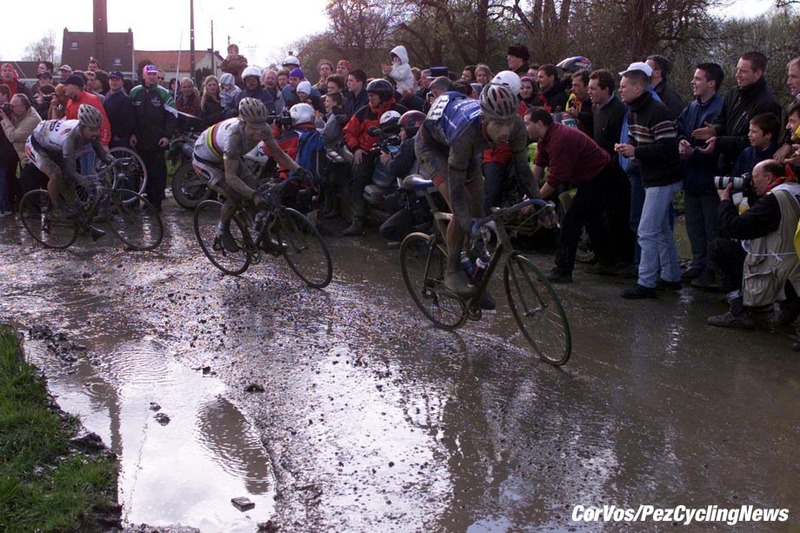 Some might say that big Frenchman Fred Guesdon’s win in 1997 devalued the race – but the fact that he’d previously won the amateur version of the race and had finished 11th at Roubaix in ’96 seems to have slipped everyone’s mind. 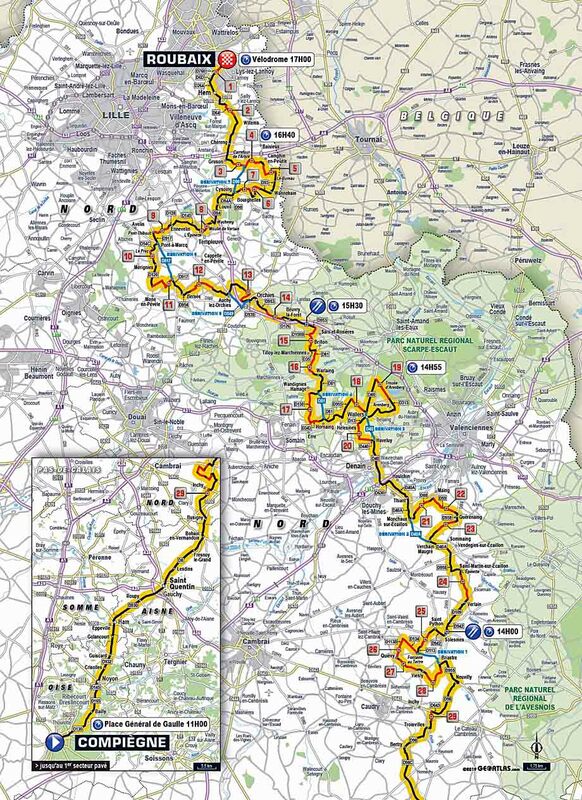 Statistically it helps if you’re Belgian; the nation just to the north of Roubaix has 56 winners (GVA the last in 2017) to the home nation’s 28 (Guesdon in 1997) and Italy’s 13 (Tafi in 1999). 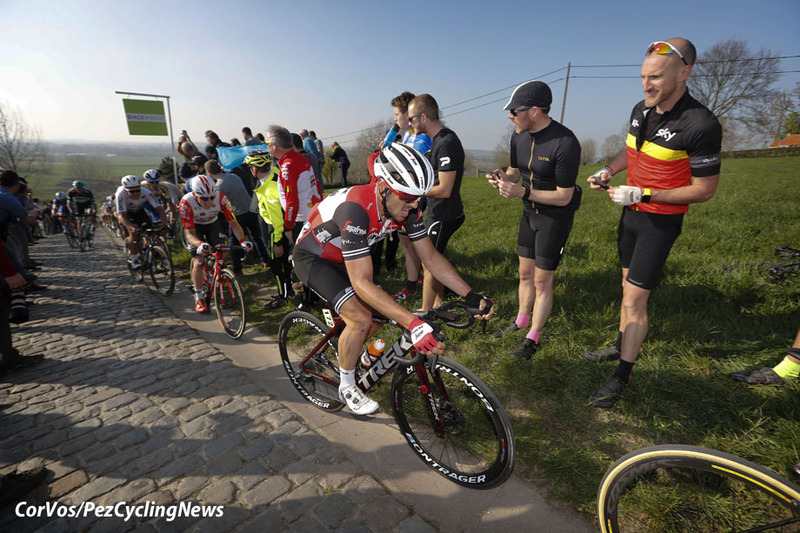 This year sees 43 Belgians and 25 Frenchmen on the start line with 27 nations represented; the youngest rider is Mitchelton-Scott’s Aussie Robert Stannard at 20 years and 210 days with Sunweb Dutchman Roy Curvers the oldest at 39 years and 88 days. The man who has been in those famous showers the most is Dimension Data’s Austrian, Bernie Eisel he’s reached the velodrome 15 times – with best finishes of fifth and seventh. 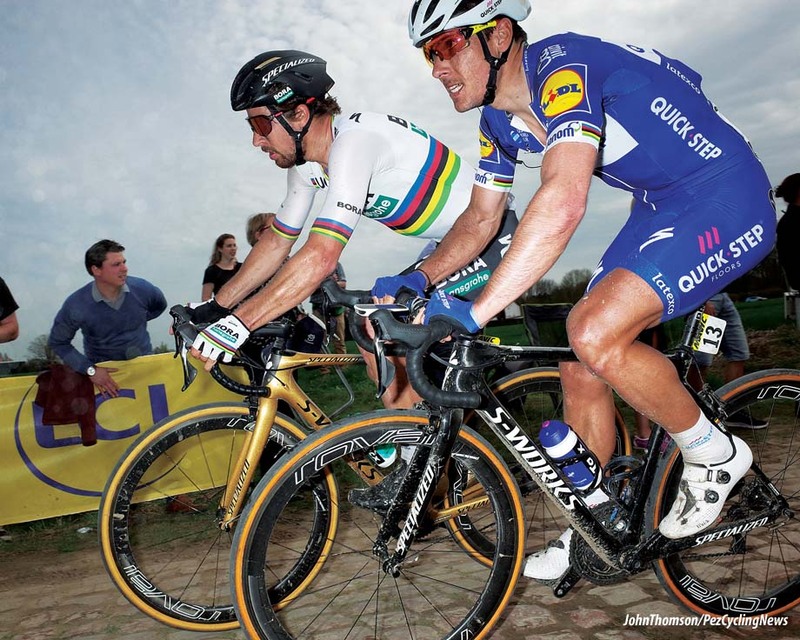 There are few ‘surprise’ winners at Roubaix and 2019 will not be an exception to that rule. 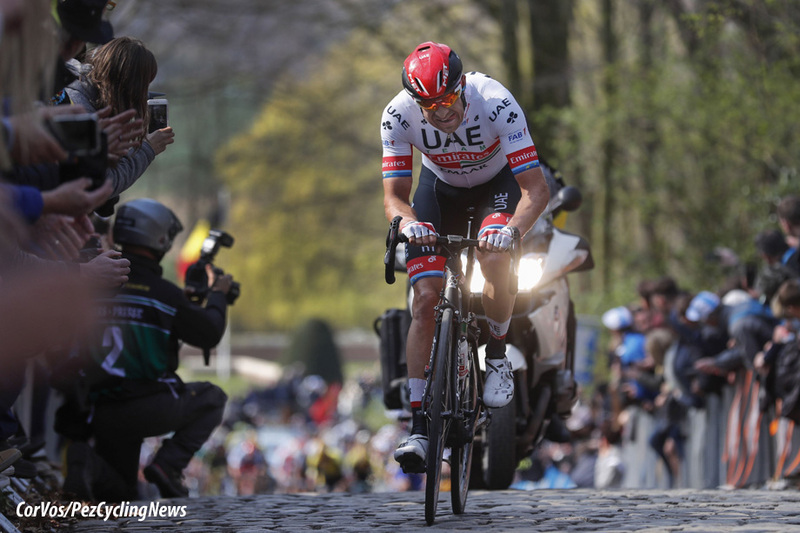 John Degenkolb (Trek-Segafredo and Germany): The man has won here before and also took the Tour de France stage to Roubaix over the pave, last year. 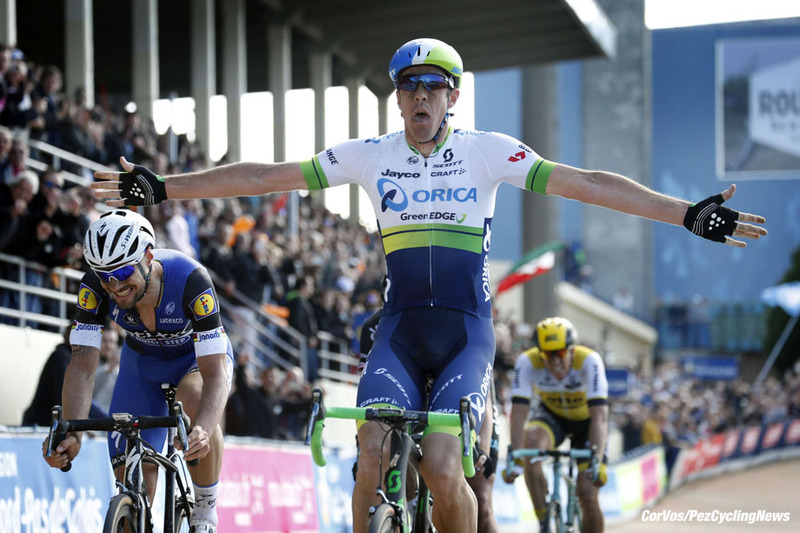 This year there was a stage win in La Provence - but against guys he could beat with his fingers up his nose. But he was second in a savage Ghent-Wevelgem and only those pesky ‘hellingen’ did for him in Flanders. He can win. Alex Kristoff (Katusha-Alpecin and Norway): He took a tough Ghent-Wevelgem, was just outside the top 10 in Dwars door over the bergs then third after torturing himself over the Koppenberg, Oude Kwaremont and Patterberg in Flanders. There are no hills in the Hell of the North and that big powerful torso of his was made for this race – albeit his best thus far is ninth. He’ll be there in the final mix for sure. 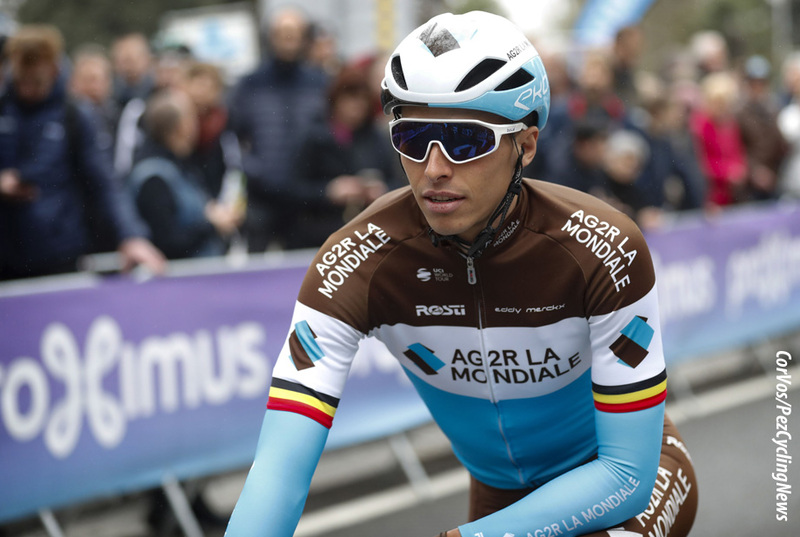 Oliver Naesen (AG2R-La Mondiale and Belgium): Top 10 in the Omloop and E3 with podiums in Sanremo and Wevelgem then seventh in de Ronde his form is where it should be; somehow we thought his previous best over the pavé would be better than 12th but that’s what the stats say – we think he’ll better that this year. A podium? Perhaps not, but in the mix. 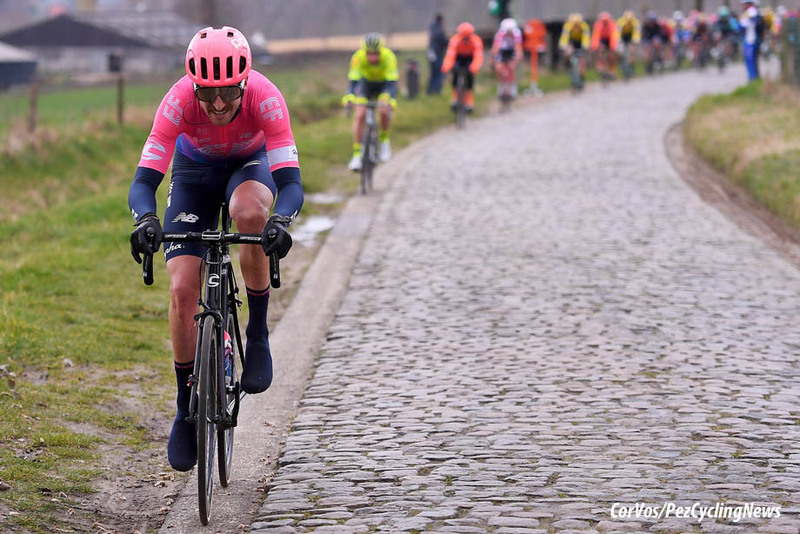 Taylor Phinney (EF Education First and USA): He has no result this year which would indicate a good ride here – but we just have a hunch after last year’s eighth place, this day is what the first part of his season is all about. And with Langeveld and Vanmarcke, EF are a force to reckon with. . . But why is the man on-form, Alberto Bettiol, not riding? Peter Sagan (BORA-hansgrohe and Slovakia): His results this year are not what we expect of the man who can do it all: 4th to the Via Roma, 17th in the E3, 32nd in Ghent-Wevelgem and 11th in de Ronde. Is there a ‘but’? He was ‘crook’ – as the Aussies say - early in the year and was away all day in Ghent-Wevelgem, where we thought he was preparing for Flanders. 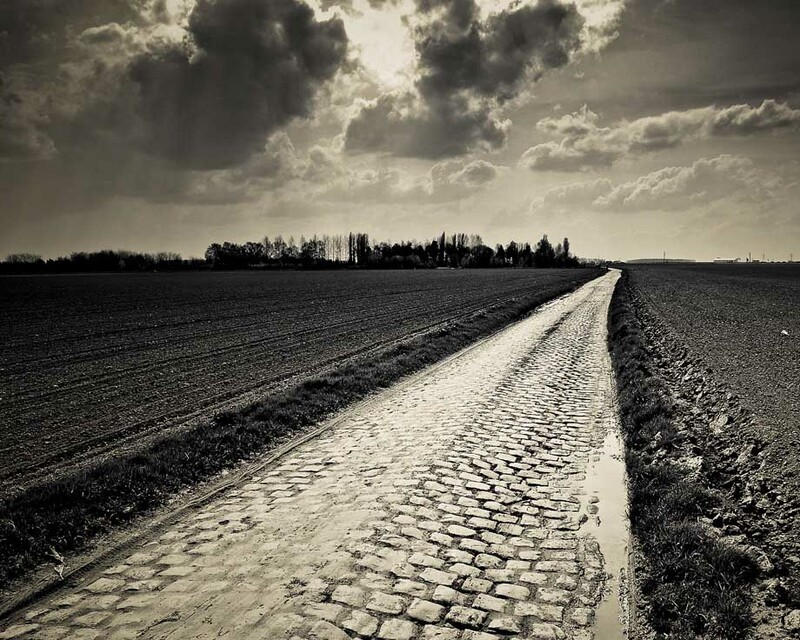 But Flanders was held in bright sunshine and just wasn’t tough enough for him – so underestimate him over the pave at your peril. 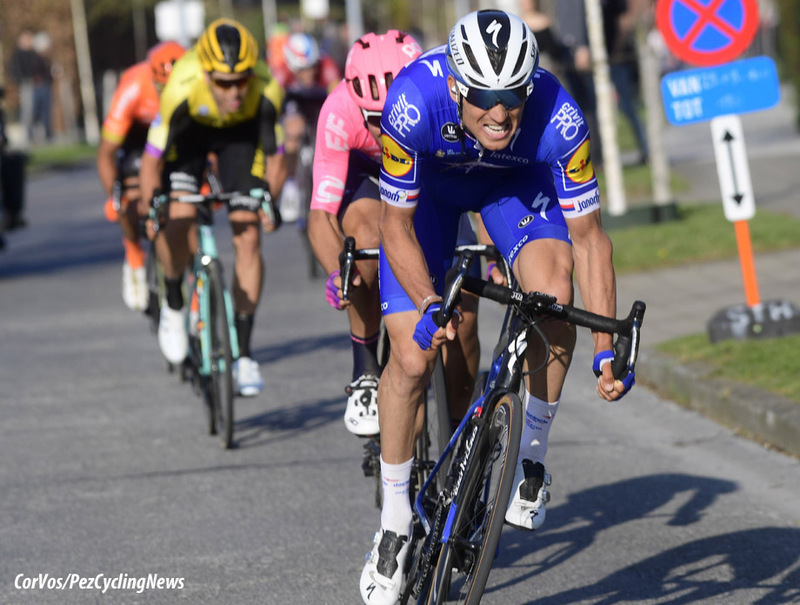 . .
Zdenek Stybar (Deceuninck - Quick-Step and Czech): One of the Quick-Step ‘Wolfpack’, for a former world cyclo-cross champion the hugely technical parcours hold no fears – and remember he’s been second here twice as well as 5th, 6th and 9th. However, he popped mightily in Flanders which won’t have done his morale much good. 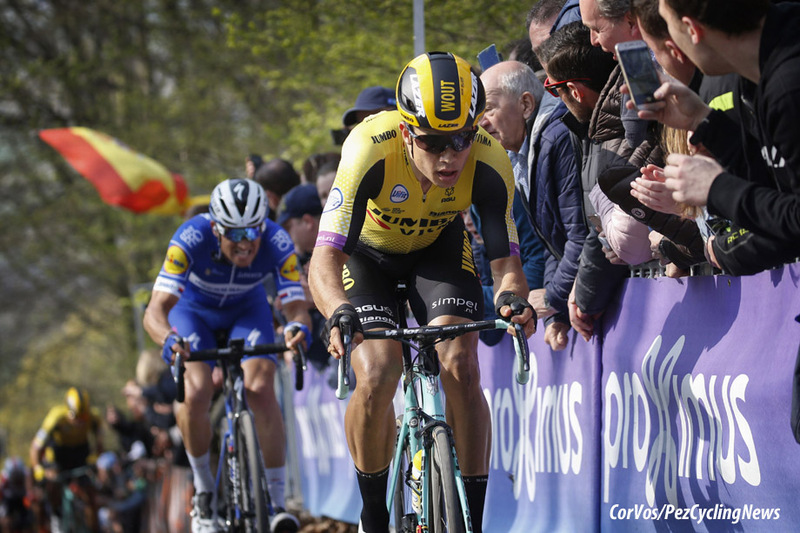 Wout Van Aert (Jumbo-Visma and Belgium): He’s only raced six times this year; 11th in the Omloop, 3rd in Strade Bianche, 6th in Sanremo, 2nd in the E3 and well in the mix in Wevelgem and Flanders – the form is good then and the pave holds few fears for a man with his bike handling skills. 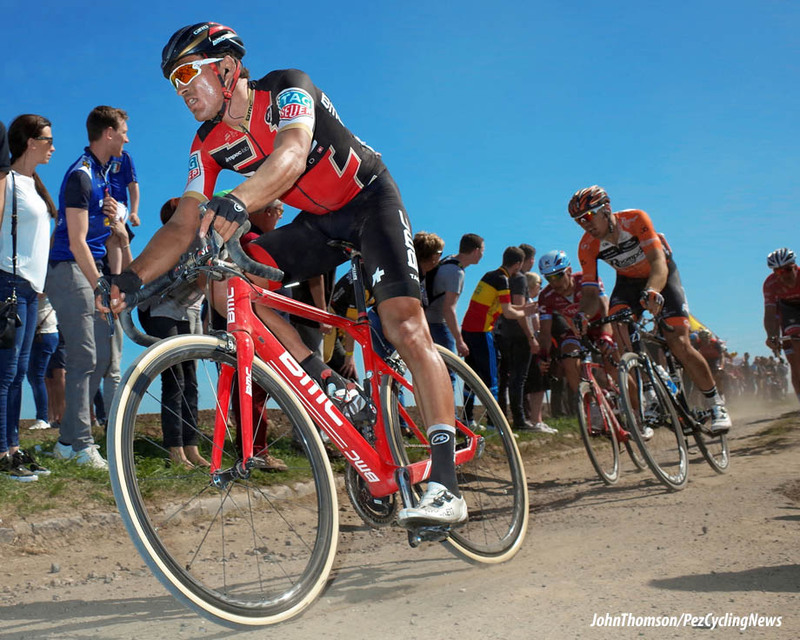 Greg Van Avermaet (CCC and Belgium): Top six in The Omloop, Sanremo and E3 with 10e in his beloved Ronde which was too ‘easy’ for a man like him, this year. 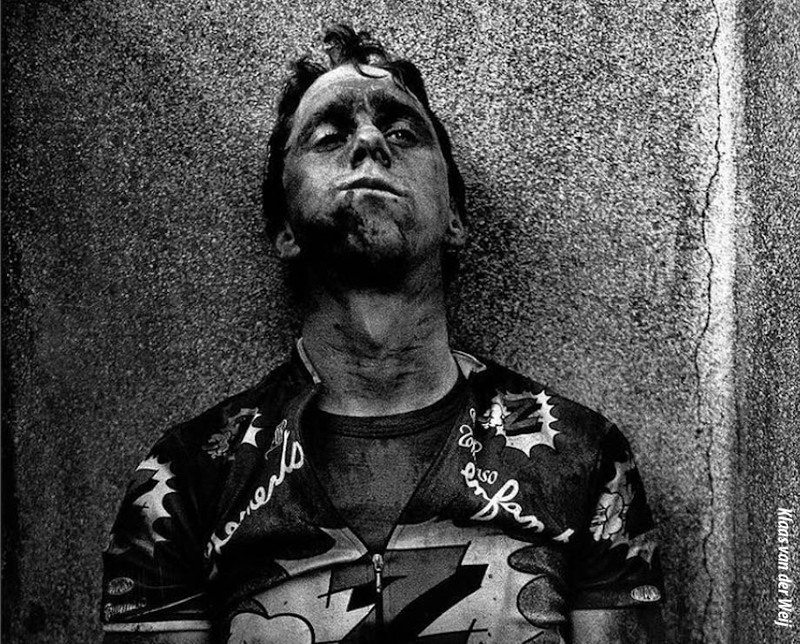 His stats here are the best of any rider in the race: 1st, 3rd, 4th, 4th with Paris-Roubaix his last chance for spring time glory. Greg won in 2017, again in 2019?